A growing business is a good thing! It doesn’t ease the growing pains you might encounter as you expand your business. As the business gets larger, there are more and more tasks to be taken care of. You need more hands on deck to keep things running smoothly. This is true whether you’re a Canadian business expanding into new markets across the country, or an American firm looking to come north of the border. 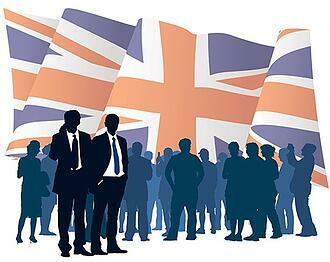 No matter where you’re based, however, the fact remains: The business is getting bigger, and you need a helping hand. As businesses expand, many leadership groups consider the possibility of sending certain responsibilities out of house. Often, they choose an expert provider to team up with. 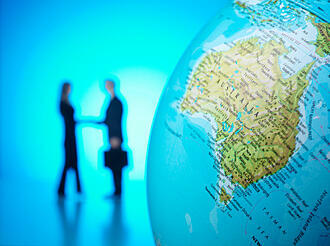 The provider then delivers the business service, using their expertise in the area. 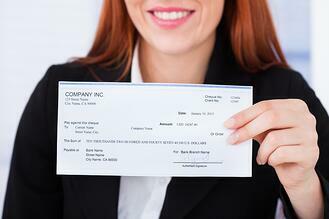 Payroll is one of the services business owners commonly think about turning over to a partner. There are numerous reasons for this. First, payroll tends to be a routine function. You perform it week in and week out, often in a very similar way. Second, a partner, such as Canadian payroll service providers, have expertise in the area you and your team may not. As a result, Canadian payroll service providers can usually deliver superior service in less time. Letting the experts deal with payroll allows you to get back to the really important things in your business! Another reason businesses team up with Canadian payroll service providers has a more legal aspect. There are many different laws and regulations governing worker compensation, benefits, and even record-keeping. Working with someone who knows the ins and outs of the legalities can save you a lot of headaches when it comes time to close the books. 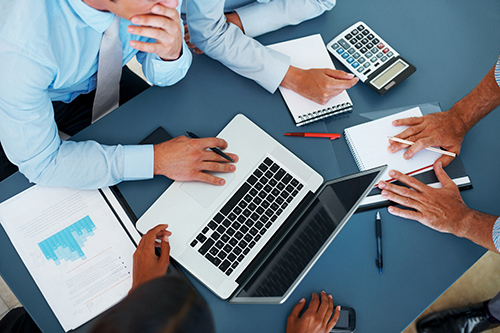 Canadian small businesses might not think they need the help of a payroll service provider. After all, they’re already operating in one Canadian province, so they know everything they need to know if they want to open up shop in another. Rules and laws vary from province to province, however, so most Canadian businesses benefit from the expertise of a Canada-wide payroll service provider. They know the differences between provincial jurisdictions, and they can navigate them with ease. If you’re a Canadian business looking to expand your operations into other provinces, Canadian payroll service providers can help! Many businesses from outside of Canada also look to expand into the Canadian market. 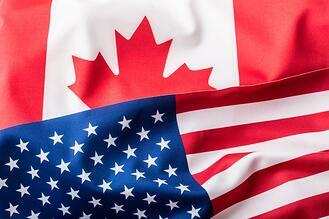 American companies often look to Canada as their first “foreign” market. 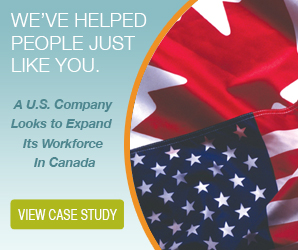 Many American firms open up branch offices and run operations in Canada. Of course, the rules are different in Canada versus the United States or anywhere else for that matter. American companies can benefit from the expertise Canadian payroll service providers offer them when it comes to record-keeping, paying workers, offering benefits and other forms of compensation, and virtually everything else. 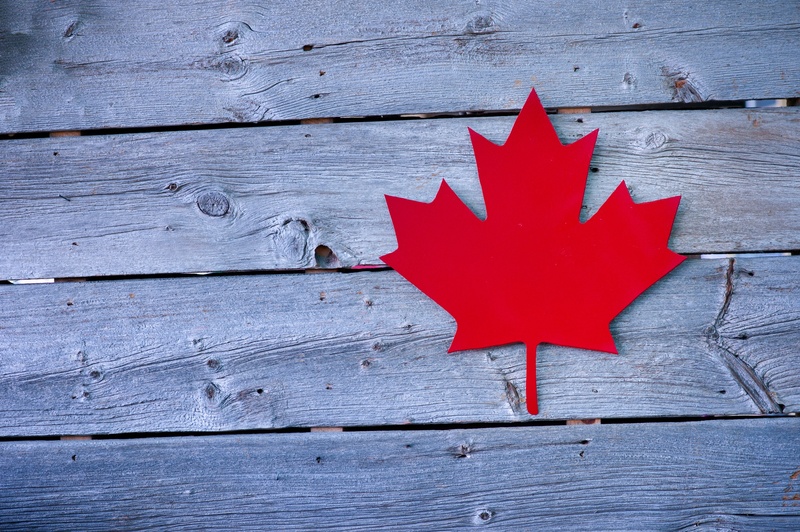 These payroll experts will keep things running smoothly when you come north of the border. Businesses with headquarters in other countries can also benefit from this expertise when they look to enter the Canadian market. If all you need is legal advice about how to keep the books, why bother engaging a payroll service provider? Wouldn’t you be better served by consulting a law firm to get the scoop on what’s different in Canadian and provincial law? 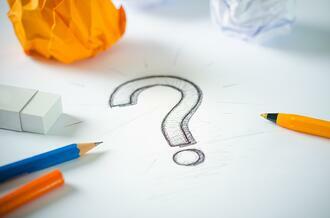 Canadian payroll service providers don’t just dole out advice, which is the difference here. Instead, these providers are your partners in actually ensuring your accounting and bookkeeping are on the up and up. Legal advice might be helpful when you’re just getting started, but the law firm probably won’t be as much help when the CRA decides to audit your books. If you’re looking to expand your business into Canada, there’s no better partner than Canadian payroll service providers. When a US company makes the decision to take on Canadian employees, there is invariably a range of logistical issues to consider before it becomes a reality. One of the main factors is payroll processing. While it may seem like a simple, straightforward concept, when put into practice, many US companies soon discover the road is littered with potential pitfalls. Here are 5 tips for US companies processing Canadian payroll that will help you stay on the right side of the law and manage all the different aspects of the Canadian payroll process. If there is one piece of information many Americans know about Canada, it is that Canadians pay a lot in taxes. For US companies processing Canadian payroll, there are several tax considerations that won’t come up when paying American employees. Elements such as Canada Pension Plan (CPP) contributions, employment insurance (EI) premiums, the proper income tax deductions, and other tax issues must be followed to the letter. The Canada Revenue Agency (CRA) doesn’t have a sense of humor when it comes to American companies getting sloppy with their payroll tax practices. If you fail to follow the requirements, you may be looking at some stiff penalties. In most Canadian provinces, employees are entitled to 4% vacation pay that can be accumulated or paid out in each pay period. They also receive holiday pay for statutory holidays, such as Christmas, Easter, Labour Day, Canada Day, etc. Not every province in Canada has the same stat holidays, so any US companies processing Canadian payroll will have to check before they begin the process. For overtime hours, employers are required to pay 1.5 times the regular rate of pay for any hours an employee works over 40 in a given week. The overtime pay may be calculated on a weekly or a daily basis. In an effort to circumvent some of the tax issues and other payroll laws, some American companies hire Canadian employees as “independent contractors.” Under this scenario, the company would send money from their own US bank account to the independent contractor’s Canadian bank account, and that would be that, nice and neat. The problem with this type of activity is that, as mentioned above, the CRA doesn’t take kindly to foreign companies trying to game the system. Like the IRS in America, the CRA will investigate, and any US company doing business this way may end up being audited and be handed fines, bills for back taxes, or even have a criminal investigation launched. Any US companies processing Canadian payroll need to be aware of the Canadian Worker’s Compensation Program. It differs from the US, as the government runs it and every business that takes on Canadian employees must register an account in every province they have employees. Also, the registration process differs from province to province, so it is important to have the correct information and keep all the details in order. Non-compliance by US companies can lead to significant fines, and if an employee does get injured, the process can be lengthy and complex if the employer is not well versed in the rules. 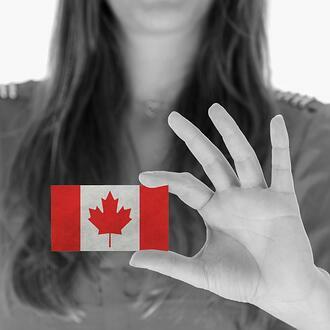 Naturally, the best way to ensure a smooth transition into the Canadian marketplace is to enlist the help of a partner that has experience in all the complexities of the Canadian payroll process, as it pertains to American employers. At The Payroll Edge, we can act as your Employer of Record in Canada, so everything moves seamlessly and you never have to consider any of the issues mentioned above. When you have a trusted partner working on your behalf, you can focus on your core business and leave the legalities and tax issues to us. Your employees will be paid on time, and you’ll never have to worry about the minor details that seem to trip up many US companies processing Canadian payroll. Contact us today and we’ll help you get the process started. American and other international businesses that want to employ workers in Canada face a number of unique challenges. When it comes to payroll, for example, Canadian legislation lists over 190 regulatory requirements for foreign employment compliance, many of which are very different from human resource laws in the United States. It might be difficult for U.S. companies operating businesses north of the border to make certain that they're compliant with unfamiliar foreign regulations, especially when it comes to payroll management. Setting up foreign satellite offices or hiring out-of-country workers isn't nearly as difficult as it might sound, however. The work is still the same. It's just the nature of secure, legal, and proper payment that's tricky. It's not as simple as putting your Canadian workers through the same payroll system as your national employees. 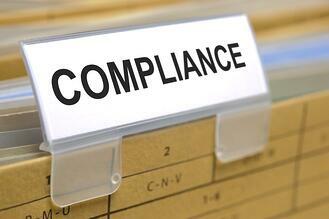 But follow these three steps and foreign employment compliance is easy. It's incredibly risky—and illegal—to start hiring foreign-based workers for your business without a proper declaration. Make sure that you can legally hire workers in Canada by declaring your company's presence through official means. The main reason for such tough and stringent regulations on foreign hiring practices is that Canadian employees still need to pay Canadian taxes, even if they're working for a U.S. business. That's why it's important to set up a separate payroll system in every country you expand to. Your home HR team is likely swamped enough as it is dealing with their own payroll system. When you add a new country to your roster of employees, it involves an entirely new and different system of regulations for compliance. A local payroll company will be better equipped to deal with the nuances of payroll differences between USA and Canada. Don't let all of your hard work go to waste because you're not in line with foreign employment compliance. When expanding your business overseas—or just over the Great Lakes—it's worthwhile to keep payroll outsourced, too. That way, you can focus your efforts on your company's goods and services, instead of on the fine print. 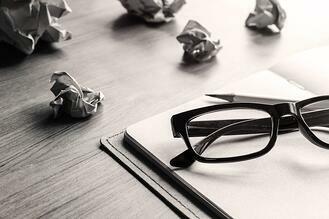 It can be hard to imagine, but even major international companies can make mistakes and while most of the time they're simple clerical errors, a mistake when processing payroll can be serious—not just for the employee, but for the company as well. If you're not compliant with the federal Income Tax Act (and the Taxation Act, as in Quebec) it can seriously affect your business. It's important to get acquainted with the best practices of a country's payroll methods before you begin any processes within. This will give you a series of guidelines to abide by, not just including information about law but also suggestions on how to streamline the process. Many experts train employees specifically, but you may choose to hire a PEO for processing Canadian payroll, which will save you time and resources while you sort out other aspects of your expanding business. The Canadian Revenue Agency is the federal authority on all tax laws in Canada, so it's a good idea to research and read any material you can find that applies to your situation. The CRA offers a great deal of resources on their own website to ensure that this information is accessible to everyone, but that's not your only option. This is another area a PEO is incredibly helpful in—like CPAs, this is their business and they know everything a business needs to know about processing Canadian payroll in a legal and effective manner. Timing, as with everything, is extremely important. You'll want to ensure all of your reports are in order, even if the deadlines might be different than you're used to (some even different province to province). In Canada, some provinces have specific laws about how often you are required to pay an employee and for international companies this needs to be taken into consideration as well. Another common mistake is how often people forget to report or remit source deductions on time, which may seem like harmless errors but can cause serious trouble for you in the long run. Payroll is complicated—there's more to it than just writing a cheque. Many mistakes are made when things are simply forgotten or miscalculated. Consider overtime and holiday pay, which can vary region to region for example. International companies often have difficulty handling more detailed problems like garnishments, levies, child support, and other fines that employees may owe and that only complicates matters further. It's important to ensure considerable attention is paid to these factors because simple mistakes in data entry alone can cost companies millions of dollars, on top of penalties and fines. Technology is a major part of any business and while it has expedited a great deal of tasks, it can often become a crutch. Many companies have software that handles a large part of processing Canadian payroll, but perhaps they rely to heavily on it. Make sure you're fully familiar with all the capabilities of each program so you can avoid forgetting to input important data. You also need to ensure that all of your data is well-backed up, so if there's a serious program error or your payroll employee is away, you're still able to access that information if need be. If you’ve hired Canadian employees to work for your business, you’re going to have to learn about calculating Canadian payroll. Part of your responsibility as an employer is to pay your workers properly, which means complying with the regulations set forth by the Canada Revenue Agency and making the correct payroll deductions and remitting them to the government. If this is your first try at calculating Canadian payroll, here are three easy steps to get you started. Before you even start thinking about the calculations, you will need to open up an account with the CRA. This is the payroll account you will be operating as part of your payroll process in order to properly remit deductions from your employees’ paycheques. You’ll need a registered business number for this step. Next, you’ll need to collect the required information from your workers, such as their SIN numbers and completed provincial and federal TD1 forms, which are the employees’ personal tax credits returns. These forms are necessary since they will tell you how much tax to deduct for each employee. Effectively calculating Canadian payroll means making the appropriate deductions at each pay period. This step starts with adding the worker’s taxable benefits , which are anything that you provide him other than his regular wage, such as a company car or board and lodging. The total income amount will affect how much tax is deducted, so the value of these taxable benefits needs to be added to the total first in order to get the right calculations. Next, make the deductions. These include income tax, Canada Pension Plan contributions, and Employment Insurance premiums. To deduct the appropriate amount of income tax, you can use a payroll deductions calculator online or the provincial/territorial deduction tables where the employee works. Canadian Pension Plan deductions are for employees aged 18 to 70, who aren’t disabled, are in pensionable employment, and aren’t receiving a CPP or QPP pension already. There are maximums and exceptions to these deductions, so calculate carefully. The rates can be found online through the Canada Pension Plan website. For Employment Insurance, you can also use the Canada Revenue Agency’s charts on rates and maximums or an online calculator. Employee EI deductions have a maximum—so once you’ve reached it, you must stop deducting them, which means precise calculations are important here. There are also some EI exceptions, such as with special payments and hiring family members. The first time you send a remittance to the Canada Revenue Agency, you’ll need to send a money order or cheque to the Receiver General with your business number on the back, along with information saying you’re a new remitter and which period the remittance covers, as well as all your contact information. Every time after the first, CRA will send you remittance forms in the mail once they are due. Lastly, you’ll need to report all of your workers’ income and appropriate deductions on T4 or T4A slips, along with an information return and T4 summary form before the end of February of each year. All of your payroll records and supporting documents must be kept in Canada, either at your company office or at your residential home for a period of six years. Effectively calculating Canadian payroll while making, remitting, or reporting employee deductions is vital. Mistakes can lead to hefty fines and even time in jail. The penalties certainly aren’t worth the risk of poor payroll management, so make sure your calculations are accurate and in order.